Keep your Air Purifiers running at maximum performance. This replacement 5-Watt UV-C bulb fights germs and kills airborne bacteria, viruses and mold spores. The UV-C light is a safe and natural way to kill germs without the use of chemicals, and produces no ozone or chemical sprays. It does contain mercury. This bulb needs to be replaced every 10 to 12 months depending on use and environmental factors. It can be used for the True HEPA Air Purifier (Item No. 204199) and the 4-in-1 UV Air Cleaning System (Item No. 203391). Contains 1 bulb. Only 2 remaining. Expected to sell out in 1 day! 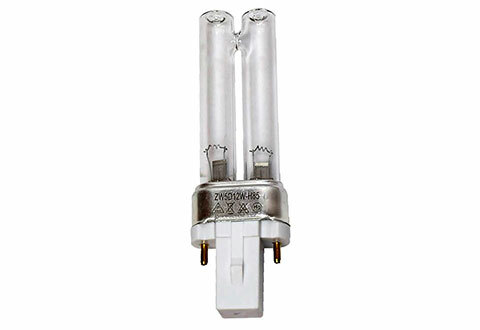 Keep your Air Purifiers running at maximum performance with this replacement UV bulb.